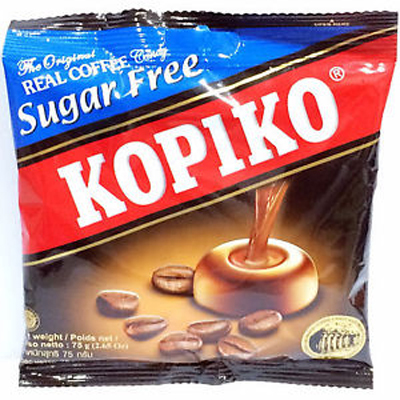 Minimum quantity for "Kopiko Coffee Candy Sugar Free" is 2. Now you can enjoy the delicious kopiko sugar free! Made from the highest quality Java coffee beands, giving you the rich, authentic taste of real roasted coffee anytime, anywhere with the benefits of sugar free. Kopiko adored by millions of coffee lovers across 5 continents for its superior quality and taste. Enjoy your Kopiko Sugar Free.